Big Bike Style. 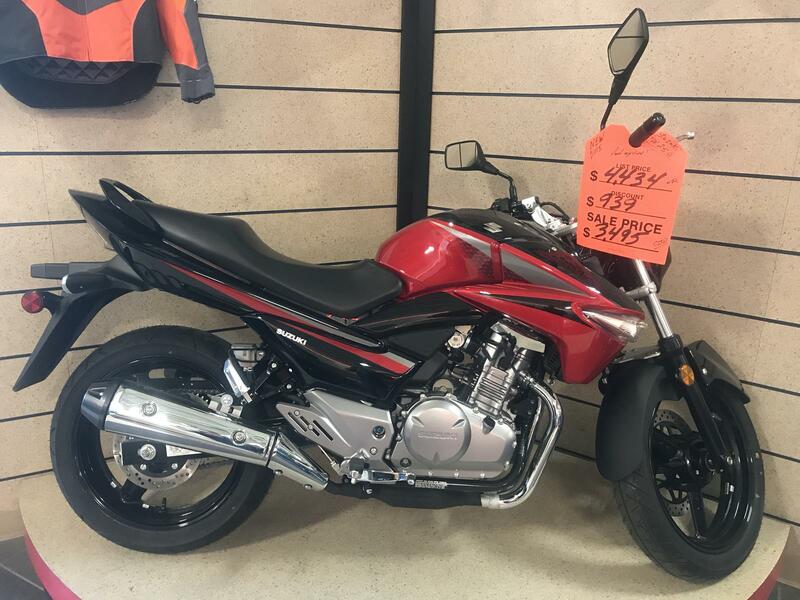 Small Bike Price. A lot of “small bikes” are just that; they’re small. The 2015 Suzuki GW250 takes a different approach. It keeps the price small, and delivers big on features, size, and performance. The GW250 returns for 2015 in a new Candy Cardinal Red look and fairing-less naked-bike appeal. The GW250 is a full-size motorcycle featuring first-rate components, all at an entry-level price. Suzuki fuel-injection technology feeds the 248cc liquid-cooled, twin-cylinder engine, which delivers user-friendly power focused on strong low-to-mid rpm performance. The six-speed transmission gives riders complete control of the power delivery for confident cruising at freeways speeds and on city streets. The GW250’s long chassis delivers a comfortable ride, and the contoured seat is low to accommodate a range of riders, plus it’s roomy and comfortable for a passenger, too. This motorcycle rolls on 17-inch aluminum three-spoke wheels. Hydraulic disc brakes front and back provide consistent stopping power. Riders looking for an affordable full-featured – and full-size – motorcycle will find a perfect fit in the 2015 Suzuki GW250. With seven-way adjustable spring preload, the rear suspension adds to its versatility. Telescopic front forks soak up bumps for smooth tracking up front – whether riding rough city streets or faster open roads. Rear suspension action is handled by a mono-shock system that stays hidden from view to amplify the bike’s style. Big bike looks and quality with a modern stylish design.